I’m hanging onto my Paris vacation as long as I can! Can you blame me? Tuning the harpsichord pre-concert in Sainte-Chapelle. Let’s talk about the arts. Privileged to attend the opening night of American Ballet Theatre’s The Sleeping Beauty at Opera Bastille as well as concerts in Notre Dame and La Madeleine and Sainte-Chapelle, I was equally privileged to hear a busking violinist on the metro whose skill as he plied his bow all the way from Concorde to Bastille matched that of the (tremendously impressive) ensemble players in those more acoustically-conducive venues. I’m not saying the arts offerings in Paris are necessarily better than the arts offerings in any other great city. I’ve seen some amazing theatre and dance in New York. Attended a spine-chilling requiem performance in London. Am even now trying to work out how I can afford to travel to Sydney half a dozen times next year for the STC subscription program, and can’t wait to browse the Indigenous Art exhibition in Melbourne in a few weeks’ time. The neck-cricking ceiling in one Louvre sculpture gallery. But there’s something about consuming the arts in Paris that feels different for me. I can’t be ambivalent or arms-length. I can’t be detached. Somehow I experience music and dance, fine art and literature, even graffiti, differently there, my emotions and sensory sensitivity closer to the surface. I walk around Paris soaking up its arts and am almost constantly on the verge of tears. Perhaps it’s the physical environments. I spend as much time in the Louvre wonderstruck at the building itself as I do the magnificent art collection it houses. And there’s nothing quite as wonderful as hearing medieval church music soar into the nave of the cathedral for which it was written. Unless it’s the magic of Mozart or Vivaldi or Haydn floating above the fountains at Versailles. 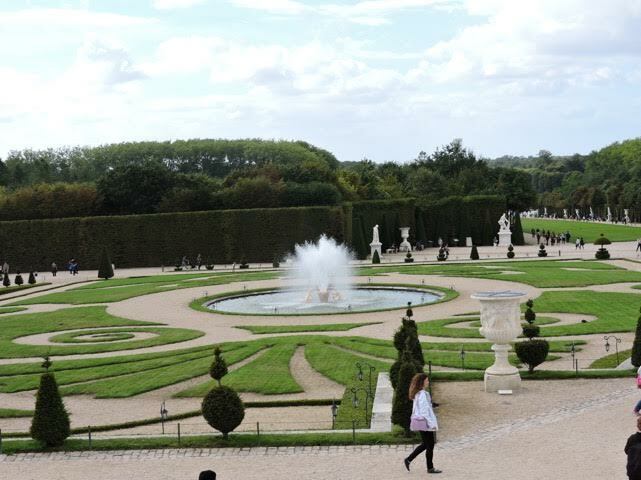 Versailles’ fountains are somehow more ebullient when they’re synched with Vivaldi, Mozart or Haydn. Palais Garnier: rich, lush, exotic. 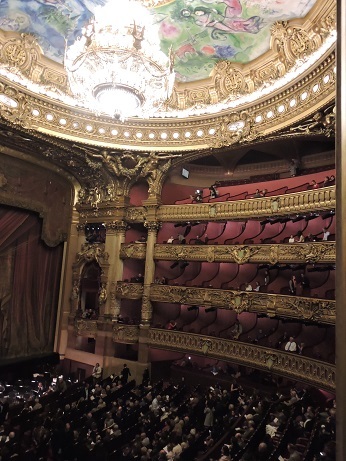 It might be the insouciance with which Parisians will wear jeans to performances in the gilded splendour of Palais Garnier, and turn up in vintage couture to the austere and fiercely-modern Opera Bastille. They seem at once innately aware of the statement they make through their clothing choice, and entirely indifferent to how anyone else interprets that statement. And why not? It’s not about the fashion, after all. I don’t know why I spent so long agonising about whether my sandals were suitably appropriate footwear for a ballet premiere. 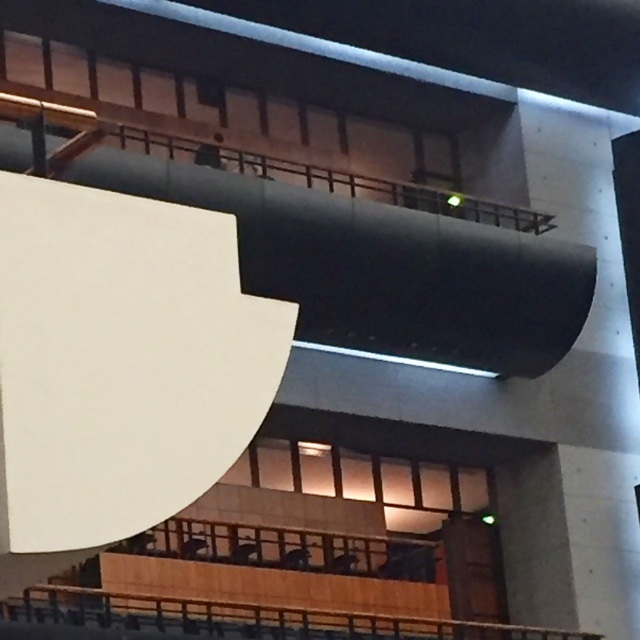 Opera Bastille: its sleek interiors are almost spartan. and the way they embrace emerging art forms as passionately as they preserve the tapestries and sculptures and ballet notations and musical instruments of generations past. It’s in the way the Seine bouquinistes and street names and corner plaques still venerate the writers – Hugo and Balzac, Zola and Voltaire and Beauvoir and Camus – in the face of weekly incursions of English-language poetry slam. While news of a foiled terror attack near Notre Dame yesterday made sudden sense of the occasions when the police presence around the cathedral seemed much heavier than usual (and it was always heavy), it reminded me too that in Paris, freedom of expression through the arts has survived attacks and atrocities through millennia. This ageless city has always emerged bright and sparkling and vivid and confident. May it ever be so. Beautiful piece, Gracie! What a wonderful trip you had. I’ve loved the photos! 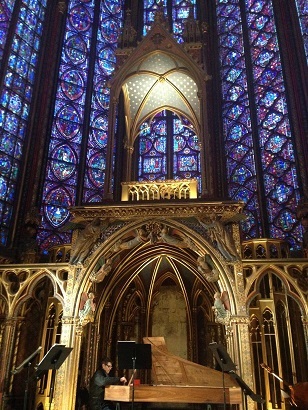 I didn’t realize that there are concerts in Sainte Chapelle. Cool. I agree with you re: the point about how Europeans deal with their relationship to their lived historical spaces. It always amazed that Germans used these incredibly old spaces so casually. I guess it’s because in the US a building more than 200 years old is a rare thing. Thanks, Serv. The concerts in Sainte-Chapelle are spectacular not just because of the setting; the acoustics are terrific and (if you’re early, anyway) you can get so very close to the musicians and be thrilled by their technique as well as the sound. And maybe the lack of European history in my country, too, is why being surrounded by it moves me so much. I need to think about that a bit more, but that makes sense to me. I know I’m always irritated when I ask somebody local about a landmark and they can’t tell me the most basic information about what it is or was (less so in Paris, to be fair, but certainly in Rome, for example). yeah — there is so much to be known that no one can keep track of even a small portion of it. it’s interesting, for example, that a significant chunk of preservationists opposes keeping every index of history alive precisely for this reason; if we didn’t allow some things to go, we’d be drowning in our past. I don’t think Europeans are — but I think one way of dealing with it is simply not to keep track of all of it.